SayWhatNews: Hello, Simone. Thanks for taking the time and speaking with SayWhatNews about your mother Nina Simone. Tell us in your own words who was Nina Simone. Simone: Mommy was a dynamic human being; you either loved or hated. She was a perfectionist who excelled in everything she put her mind to and a fearless warrior who stood up for what she believed in in spite of “the majority”. Herspirit longed “to be free”...free from bigotry, pain, discrimination, the world’s expectations, childhood demons, etc. Under her fierceexterior existed a soft, funny, loving and lovable girl/woman who rarely emerged but when she did she was a joy to be with. SayWhatNews: At the age of 4, Nina Simone began playing the piano. Your mother was a classically trained pianist and even spent 1 year at the Julliard School in New York. Where didshe get her training? Simone: Actually, Mommy attended Julliard for a semester.Her training took place in Tryon, North Carolina. Under thetutelage of Mrs Mazenovich, whom she called Mrs Mazzy, Mommy fell in love with the classical masters and began to dream of the possibility of joining their ranks. Once her gift at the piano manifested, the town of Tryon came together to create the Eunice Waymon Fund. This fund paid for her lessons thus planting the seeds that later blossomed into the magnificent genius who regaled the world. SayWhatNews: Is it true that Nina Simone switched to singing Jazz and Popular music to make money because as an African American there weren’t a lot of opportunities to play as a Classical artist. Simone: That’s a way to look at it. Mommy’s application to the Curtis Institute in Philadelphia was rejected not because of any talent she lacked; but because of her skin color. The rejection was a huge blow considering attending this prestigious music school had been a goal she’d worked very hard to achieve. She never got over it. A few days before she died, at the behest of a Philadelphia woman’s group, the Curtis Institute agreed to give her an honorary diploma. Mommy’s health had deteriorated so rapidly she was not responding to much, yet upon hearing of this, she smiled. After her death, I accepted the diploma reading from a speech she had started but never finished. It was a powerful day. SayWhatNews: Wow, amazing and very inspiring. Now, Nina Simonewas able to cross over into many genres of music from Jazz, Pop, Blues, Spirituals, Folk, Contemporary, French Chansons and African song. Why do you think your mother was able to do this so well? Simone: Because she was a true artist and musician - that’s what they do. SayWhatNews: From singing in night clubs to recording her first tracks in the 1950’s, Nina Simone gained fame with her cover of “I Loves You Porgy” a song George and Ira Gershwin’s Broadway musical “Porgy & Bess” in 1959. Did your mother ever talk about her success with that song which landed in the Top 20? Simone: Yes. She often told me she’d asked Billie Holiday if she could record her version of it. SayWhatNews: Now, Nina Simone’s birth name was Eunice Kathleen Waymon. Why did she change her name and where did the name Nina Simone come from? Simone: Mommy took the stage name Nina Simone so her mother, a preacher, would not know she was playing “worldly music”. “Nina” comes from the Spanish word Nina (neen-ya) which means “little one” (I think one her boyfriend’s used to call her that) and “Simone” comes from the French actress Simone Signoret. And, voila!! Nina Simone. SayWhatNews: Just like Aretha Franklin is known to us as the “Queen of Soul”, Nina Simone was called the “High Priestess of Soul”. Is it true that she hated the name and why? Simone: I never heard Mommy say she hated that moniker. Actually, most of the songs for ‘Simone On Simone’ were culled come from Mommy’s album entitled “High Priestess of Soul” ( a real gem and personal favorite). SayWhatNews: Perfect example as to never believe everything you read. Your mother is one of the first artist to embrace traditional African garb. What was her inspiration to express herself in that form? Simone: Our people. Our history. Black Pride. SayWhatNews: The song “Here Comes the Sun” is one of Nina Simone’s songs that has transcendent time. With its joyfulmusical blend with the piano and its elegant arrangement, why do you feel this song has had such a magical run? Simone: You’ll have to ask her. All I know is, it’s a favorite of mine, a shining example of her amazing musicianship, and she won awards for the album with the same name. SayWhatNews: Nina Simone’s music addressed the horrific events and injustices that occurred in the South during the civil rights era. Simone, how do you feel when you hear people say that your mother’s voice was a crucial voice in the civil rights era? Simone: That’s like asking me, how do I feel when I breathe. Mommy’s activism was a part of my every day life, so it was as reflexive as breathing. Do I feel proud? Of course, but our household sure could have used more of her - I could’ve. She was doing what she thought was best for our race and, under the circumstances, she did a great job of it. Too many of ourpeople, the people whose rights she fought for, do NOT know who she is; can you believe that????????? If she had to do it all over again, I wonder if she would. SayWhatNews: I do believe it. We tend to only focus on what we are taught in school and not reach out on our own for more knowledge. Its sad but true. This is why I was so excited to speak to you about your mother. With that being said, your mother wrote and sung many songs that where inspired by theinjustices African Americans experienced during the civil rights era, for example the song “Mississippi Goddam” (inspired by the Birmingham church bombing). Why was it so important to her to voice her feelings musically? Simone: The stage was her ministry and music was her medium. One of her quotes addresses your question directly: “It is an artist’s responsibility to reflect the times”. And, that is exactly what she did. SayWhatNews: A job well done. Like so many other artist who could, Nina Simone relocated to Europe because she became tired of the American Racial Politics. How did moving over to Europe change her career musically? Simone: Another question my mother would be better suited to answer. I can say that there are various reasons so many Black artists have left America in favor of Europe that go beyond their careers. There’s a real appreciation and loyalty in Europe that is very appealing, just to give one example. SayWhatNews: Simone, do you believe your mother lived and died with demons that she fought during life? Tell us what were some of those demons and do you believe it impacted your mother’s life so? Simone: Yes, she did - just like we all do. SayWhatNews: April marks the launch of the Nina Simone Experience which is a visual art/ music exhibit. Why is it so important to you to keep your mother’s musical vision and life’s work alive? Where is the exhibit located? Simone: It is vital that we, as a people, make the decision to honor our history. In order to do that we have to honor our GREAT ONES. There have been too many who have helped build this country in to the great place that it is, yet their names have been forgotten. While other cultures won’t let us forget the atrocities they endured, our people seem to have virtually no interestin knowing that we, too have a rich history to be proud of. We don’t teach our children. Our children don’t learn anything worthwhile about our people in school or on TV until the month of February yet are black 365 days a year. We need to take pride in who we are and the blood that runs through our veins. In order to successfully do that, we have to teach our young ones about the ones who have walked, worked, sacrificed and died in order for us to live the lives we do now. My mother is one of those GREAT ONE's and I plan on making sure the world does not forget her. EVER. This year, the Nina Simone Experience will launch in Atlanta,Georgia April 16th - 25th. 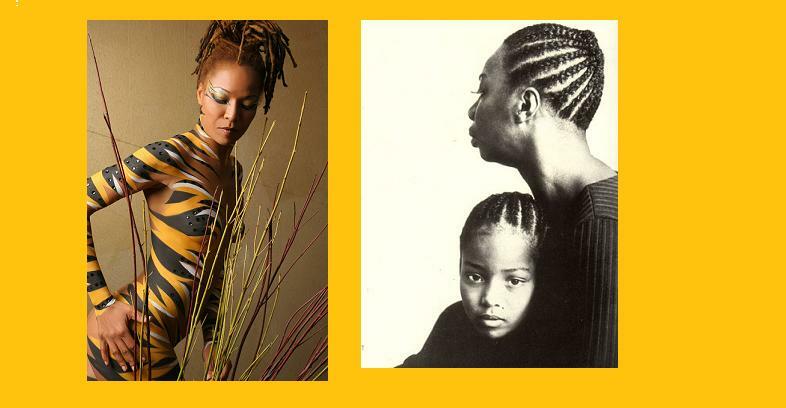 The event is a celebration of Nina's (mommy's) cultural footprint and will be held at the Space Atlanta / Thirteen Events located at 1310 White Street in Atlanta. SayWhatNews: I applaud you for taking a stand and reminding people of the great contribution your mother made to helping Blacks get their civil rights. What do you want people to learn and walk away with when they see/experience the exhibit? Simone: A deeper understanding of the many sides of Nina Simone. And a real appreciation for what she stood for. SayWhatNews: Now, Simone you are also a singer/song-writer. How has being the daughter of a legendary musical icon inspired you as a musician? Simone: It hasn’t. My original goals never included music, yet I recognized a certain inner fire that came alive every time I sang and one day chose to stop ignoring it. Being Nina Simone’s daughter has not garnered me any special consideration. Everything I’ve achieved has been on my own merit, blood, sweat, tears and an inner certainty that music is my destiny. It took 7 years and a Broadway production entitled RENT before my parents began to support my decision to be an entertainer. So, one can say my inspiration came from within, while my teacher, example, and ‘hero’, un-unbeknown to her, was my mother. 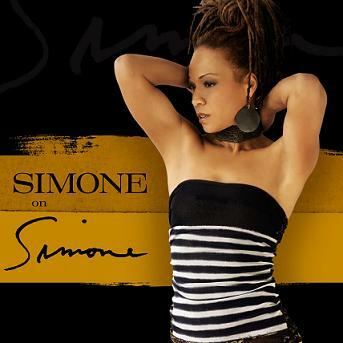 SayWhatNews: In 2008, your debut album “Simone on Simone” is considered a Big Band tribute to your mother. Can you tell us what was your inspiration for the project? Simone: It started out as a means to showcase my voice. It wound up being a huge lesson in coming to terms with Who I Am. Mommy was many things: a mother, wife, genius, artist, business woman, friend, daughter, sister, boss, revolutionary,black and very much a woman. Considering the times in which she was raised and the choices she made during her life, it is only apropos I give honor to The One who walked before me by singing the songs I’ve listened to her sing and loved all my life. When I sing the songs on Simone on Simone album they take me back to another place, another existence that only I remember. The CD begins with Mommy introducing me during a 1999 concert in Dublin, Ireland. She invited me to share the stage with her for the first time in my life. It was a dream come true and a moment that I am happy to share with the rest of the world. The entire CD is like This Is Your Life from the photos, to the songs, to the arrangements. I am extremely happy with the end product, and it is confirmation The Legacy does, indeed, continue. SayWhatNews: You have a rich vocal range. Have you had any professional training? SayWhatNews: What’s next for Simone? Simone: My music, my message and peace. My new cd hits the shelves later this year and I couldn’t be happier with how the project is coming along - we’ve captured lightening in a bottle.Stay posted to my website: www.simonesworld.com for updates and my tour schedule.